Originally developed for military use in the 1960s, GPS technology was made available for commercial in the form of gps tracking apps around the mid 1990s. Since then, not only has GPS technology changed, it is being used to carry out specific tasks in industry verticals like aviation, farming, surveying, geo-mapping and land marking, financial services, transportation, etc. 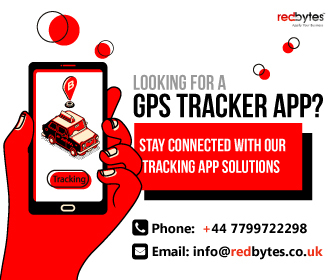 Subsidiary uses of GPS tracking apps include usage by law enforcement agencies, locating lost pets and children, navigation, finding misplaced phones, keys, luggage tracking, emergency road assistance, disaster relief and so on. Consumers are very individualistic and have their specific preferences. 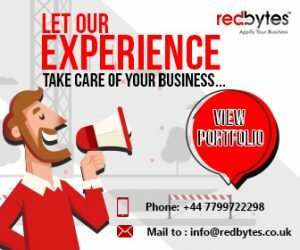 Therefore, mobile app development companies have to work concertedly to be consciously involving in the process of iOS and android app development so that they do not miss out on a major chunk of customers. Whether GPS apps are run on an Android or Apple operating systems, here is a list of the 10 top GPS tracking apps that are making their mark in the UK this year. Available for use on both the Android and iOS platforms, TomTom Go Mobileis a paid navigation and tracking app that can be subscribed to, at a price of £15 per annum. No matter the destination, TomTom Go Mobile app always makes user feel that he or she is on the right lane. Bygone is the age of Satnav. Now navigating the roads is extremely easy with the CoPilot GPS Navigation & Traffic, an app that works on Windows, iOS and Android platforms. Over the years, the app has earned the trust of millions of drivers worldwide and is also being used by some the leading delivery chains around the globe. The app offers automotive grade offline maps that permits drivers to navigate routes confidently even minus a mobile signal. Users get a choice of up to three best routes to navigate traffic laden roads. Add on benefit includes helping user avoid delays with traffic updates in real time, automatic re-routing around congested routes. For heavy duty vehicles such as trucks, the app offers information on avoiding low bridges and truck-restricted roads. Its lane indicator arrows and information on exit signs are a must have to navigate roads safely, making your driving experience enjoyable, yet productive. An advanced version of the original Google Maps, this all is progressive and light weight that has a world-class navigation support built it. Running smoothly on both Android and iOS platforms, the app function perfectly in devices with limited memory space. The app offers travel time taking into account traffic congestion for multiple modes of travel including two-wheelers, metro, buses, taxi, walking and ferries. Users can plan trips well in advance with step by step direction and route preview features. Offers good directions via voice guidance and available in 70+ languages, this is a free app that enables the user to discover places like restaurants, stores and residential addresses. The map information is extremely accurate covering over 200+ countries. One of the best device tracking apps, Spyzie allows the user to access important device related information from a single platform. The app’s easy to use dashboard is simple to navigate and may be opened from any device. When the device is connected, the app provides instant location updates. Along with a mobile dashboard, the app allows the user to additionally access a web-based dashboard too, especially in relation to the Android GPS tracker. The app provides the user with extensive location history and integrates well with unrooted devices too. The app offers a free demo on both iOS and Android platforms. However, monthly licenses start from £30. Users may create private groups referred to as ‘Circles’ and be in constant touch with ‘Circle Members’ through the app’s free chat feature. An added benefit is the Private Family Map that allows users to keep track of real-time location of all Circle Members. Alerts are shared with the user in real time when Circle Members arrive or leave specific destinations. The app is also useful if the user’s phone is misplaced or stolen. The app is perfect for keeping track of your loved ones and staying connected round the clock. This is a unique tracking device that can be inserted in a trim-able shoe insole. Requiring a subscription plan, the device uses GPS and cellular technology – just like a smartphone. Since the tracker is inserted in the shoe, there is less chance of forgetting to bring it along. The tracker automatically logs in the location and generates a detailed location history. Users are able to keep an eye on their loved ones within their safety radius. The GPS tracker is extremely useful particular in the case of dementia patients. Tracking work outs, setting exercise goals, finding routes used by others to challenge yourself. Users may connect a heart rate monitor and headphones while getting alerts and syncing results to show progress. The app can be connected to other devices such as Garmin Connect, Polar Flow, Tom Tom MySports, or Fitbit accounts in order to sync your workout information. Endomondo is a great Android and iOS app that tracks your workouts using GPS. A must have for fitness enthusiasts. A fast, free and simple app, Glympse allows its users to share their locations with family, friends and co-workers in real time, using GPS tracking technology. Users can share a ‘Glympse’ to alert their family or friends that he or she is on their way to the selected destination. Users can additionally request a ‘Glympse’ from a family or friend to track their location. A ‘Gympse Group’ may also be set up for easier communication. The app providers a dynamic map with real time location updates. The app works passively in the background and work in any location that has GPS and data connectivity. 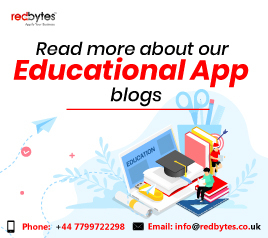 The app has very convenient connectivity features that gives accurate results through seamless usage. The app may also be used as a navigation device to reach a specific destination or get to know the exact location of your family and friends. Users may also use the app to access real time updates for a misplaced Android phone. Using the dashboard, users are able to access the location history of their device. It is one of the best ways to stay in touch with your loved ones effortlessly. Where’s My Droid is a must have app, if app users wish to have a foolproof way to locate their phones remotely. The app’s anti-theft feature that provides passive location updates. It’s geo-fencing and geo flare properties can track the phone even if it is switched off or out of network area. The phone can be remotely locked with his app and the data can be erased through the app’s web based dashboard. The app alerts the user with a notification if there has been a change in the sim card. The visual of the intruder can also be captured post successive failures to unlock the phone. The user may access basic features on the basic, free version. However, with a premium account, many more useful features are unlocked. GPS tracking apps for iOS and Android have now become an integral part of many gadgets. Many of these apps are being developed to be compatible even with wearables. Apps and smartphones have changed the way we live, and it remains to be seen what other applications are likely to emerge, in the future.